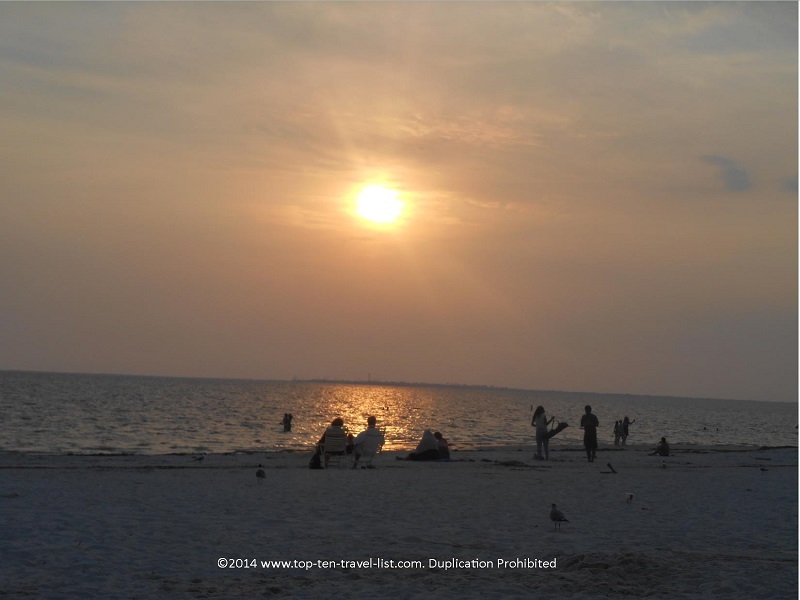 A Relaxing Evening at Fred Howard Park in Tarpon Springs, Florida - Top Ten Travel Blog | Our experiences traveling throughout the US. Every area has its’ own unique gems that have that something special. In Tarpon Springs, that place is Fred Howard Park. 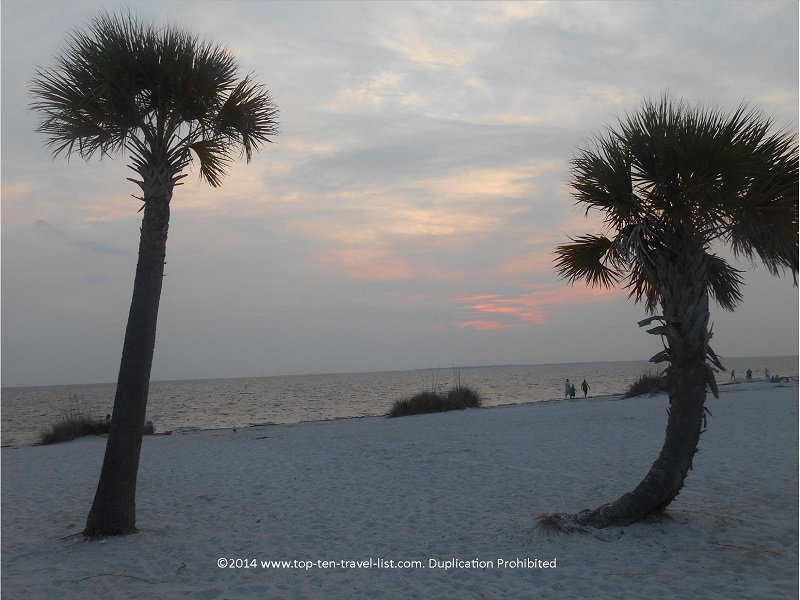 This beautiful park, located on the Gulf of Mexico, offers stunning views in a more relaxed setting. While other beaches in the vicinity tend to be crowded all the time, Fred Howard maintains some degree of peacefulness. Perhaps people skip it due to the popularity of other beaches nearby. It’s a shame as the sunsets here are spectacular! 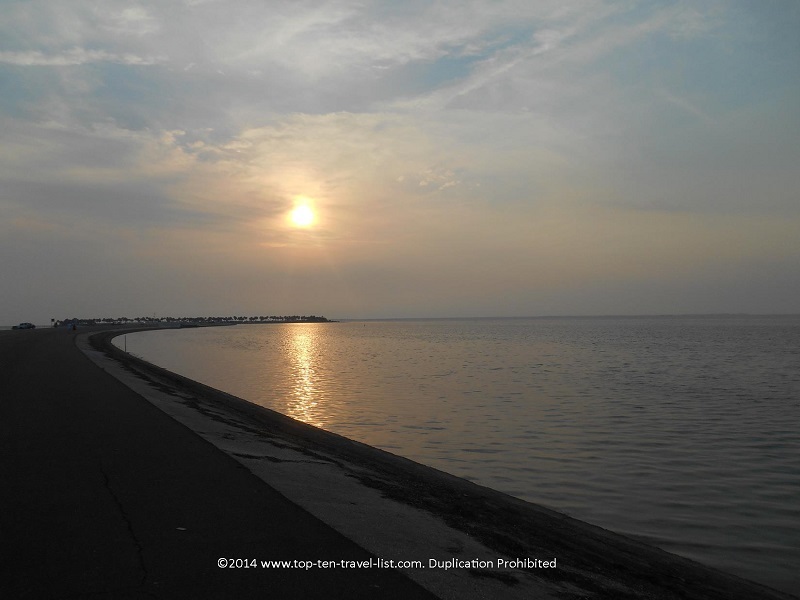 A 1 mile causeway, great for fishing and exercising, leads you to the white sandy beach. The beach is perfect for swimming year round due to the warm water temperatures and absence of large waves. However, the real highlight here is the gorgeous views around sunset. 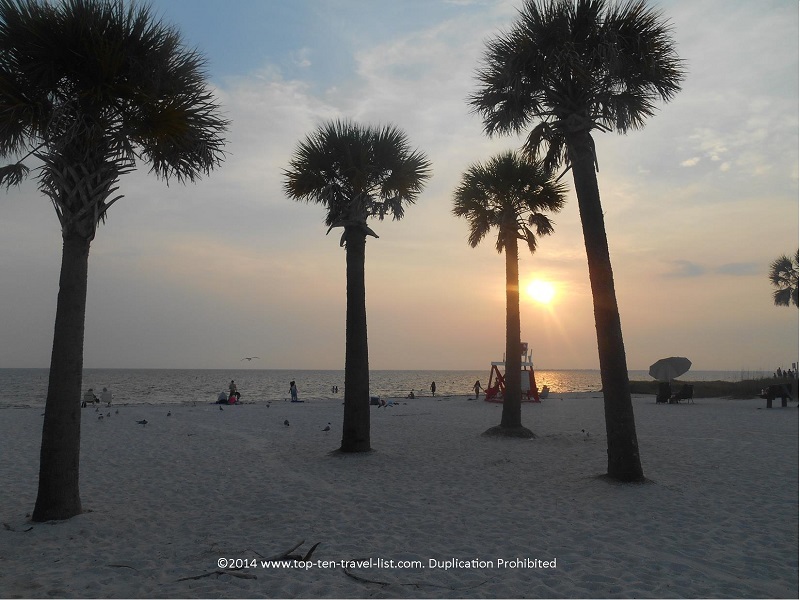 Grab a beach chair and spend a relaxing evening enjoying one of the most beautiful spots for watching a Florida Gulf Coast sunset. The beach doesn’t tend to get as crowded as most, so you have plenty of room to spread out and enjoy the views. I noticed that the noise level here is dramatically lower than some of the other beaches. In addition, the scenery is very nice. 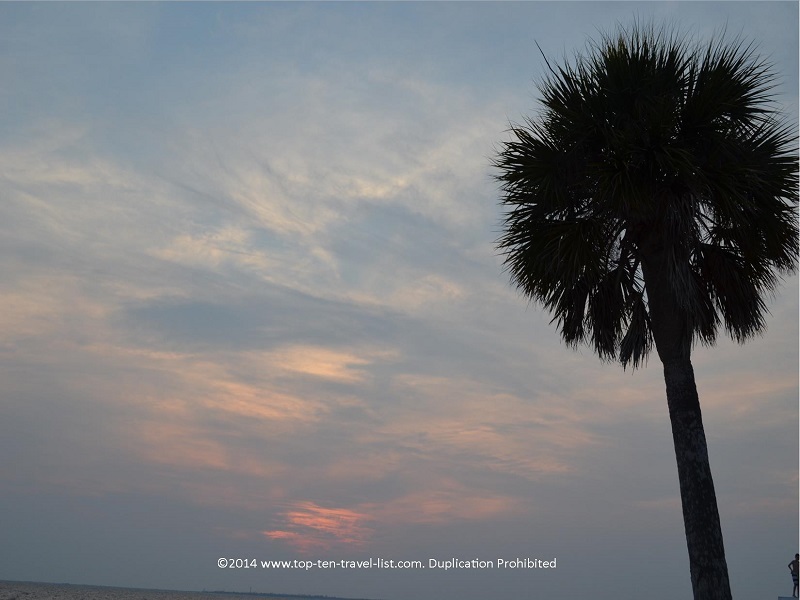 The palm trees add a bit of tropical flair, while also providing a nice setting for photographers. 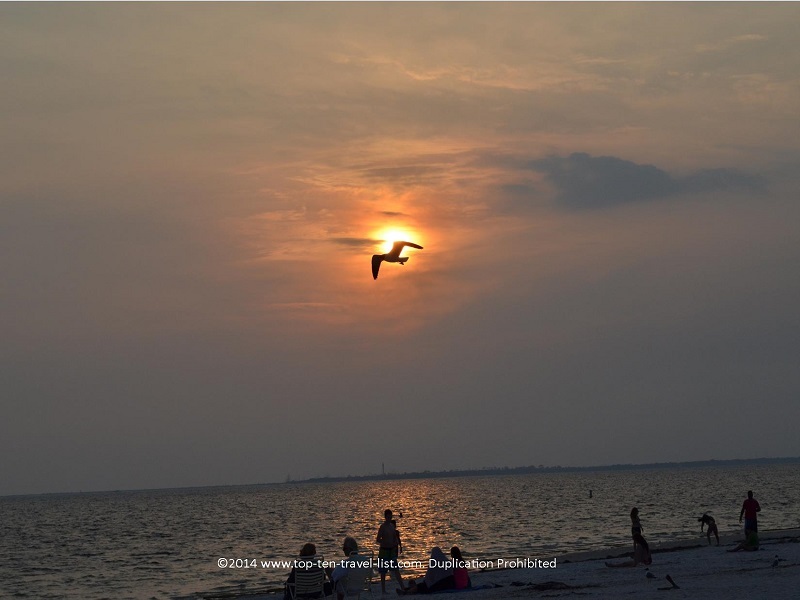 Occasionally, you may catch a glimpse of a dolphin or manatee. In addition, Fred Howard is home to some rare species, including gopher tortoises and eagles. Unfortunately, we did not spot any wildlife on this outing, although we have at other area parks. Maybe next time! Other amenities in the park include: picnic tables, baseball fields, playgrounds, and canoe launch areas. 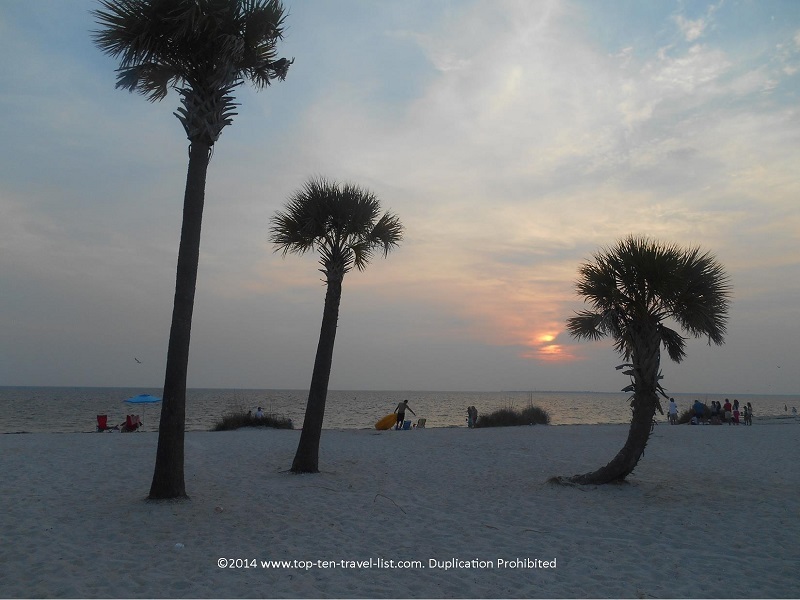 Fred Howard Park is located at 1700 Sunset Dr in Tarpon Springs, Florida. Parking is $5 unless you choose to park by the picnic shelters for free and walk the 1 mile causeway to the beach.